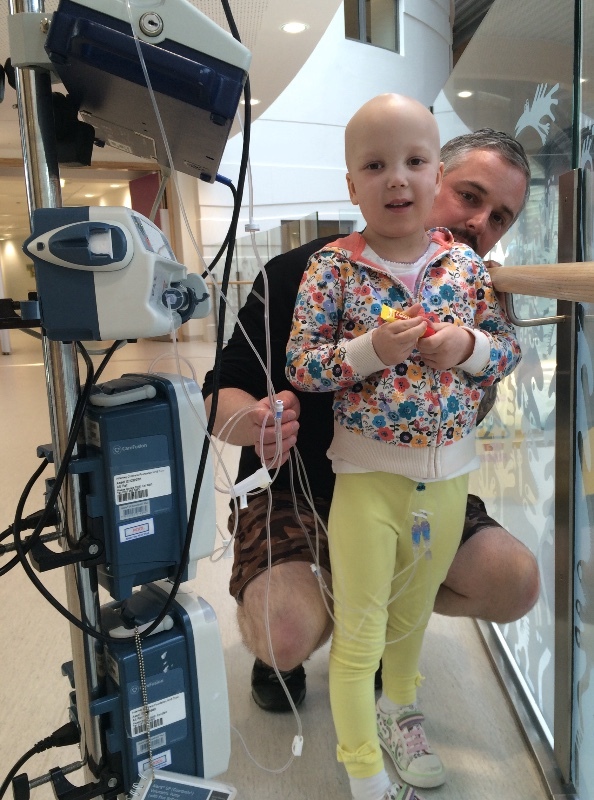 Erin was diagnosed with acute lymphoblastic leukaemia at the age of two in December 2012 after being unwell for many weeks. She had over two and a half years of treatment which finished in April of last year. During this time, aside from caring for their daughter, Erin's parents Sarah and Ant were active fundraisers for a fellow oncology childs appeal for treatment abroad and for Alder Hey Childrens Charity. Everything was going well, Erin was a happy healthy girl and had started doing really well at school. She was having monthly check ups at Alder Hey but in March 2016 Sarah and Ant were given the devastating news that she had relapsed after 11 months off treatment. 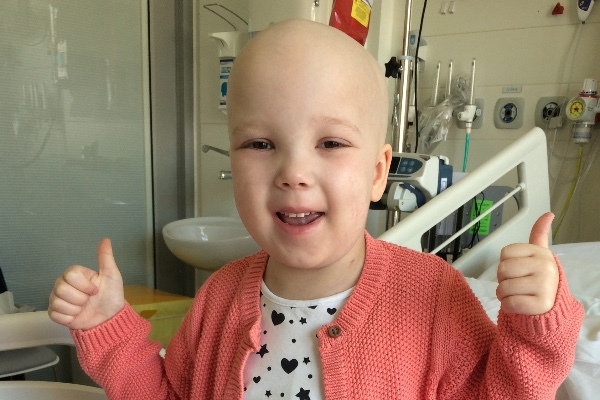 Erin has endured two months of gruelling chemotherapy and needs a life saving bone marrow transplant. Unfortunately tests have revealed that Erin isn't in remission, which she would need to be in order to have her life saving transplant. There's a strong chance that Erin will need Car T Cell therapy to prepare her for a bone marrow transplant, but there's no guarantee that she will receive this treatment in the UK. Only one child per month nationally is treated with Car T Cell therapy, so Erin's family feel that funds now need to be raised so Erin has the chance of receiving this therapy abroad. 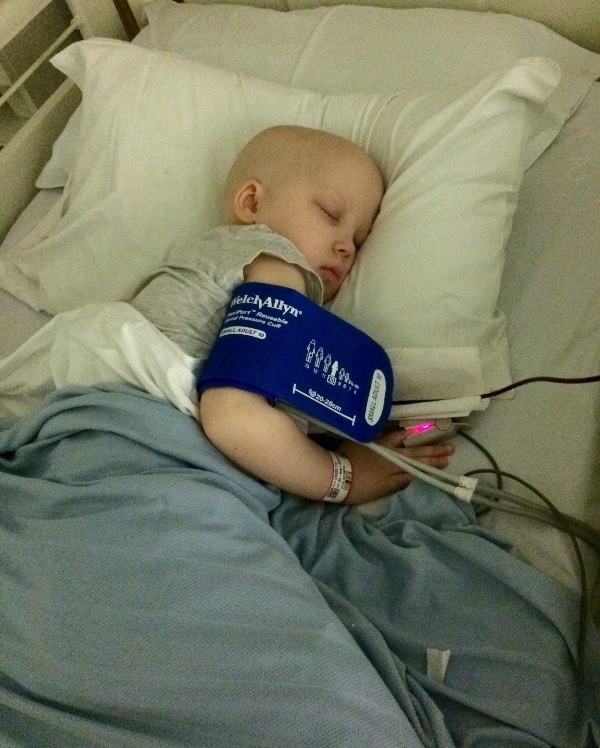 Erin was rushed to Alder Hey last night with a temperature. Thankfully she seems a bit brighter this morning but she will probably be in hospital for at least two days on IV antibiotics. She is also having a blood transfusion because her HB is very low. Thank you everyone for all your continued support and kindness. Ant, Erin and I can not thank you enough for the phenomenal response to our plea for funds to save our Daughter Erin. Having reached our initial target of 100K and being in a position to actually submit a request for treatment, we are now in a position to update you on our campaign. Alder Hey have been in talks with centres in America to gain a better understanding of costs. At the moment, we are advised that we need to raise approximately 140k in total which would cover any additional medical care needed by Erin whilst she is in America. The long haul travel can make Erin poorly. Indeed when she went to Disney with Make a Wish, she took ill on the flight, needed emergency medical assistance and was rushed to hospital. Erin needs frequent scans, blood and platelet transfusions and we also have to consider tax costs on top of this already huge outgoing. So, for these reasons, we have been advised by the consultants from both the US and Alder Hey to increase Erin’s fund to 140K in total. We appreciate your generosity to date and would hope that you continue to support Erin on the last stretch of this campaign to get the life-saving treatment she so desperately needs. Any funds raised that are surplus to Erin's needs will be donated to Alder Hey, funding Leukaemia research. Thank you. We are truly astounded by everyone's generosity!! Can't believe that we have raised £33,692 in one day, it's unbelievable!! We WILL get Erin on that plane and she WILL recieve her life saving Car T Cell therapy, all thanks to each and everyone of you. Thank you again from the bottom of our hearts, we are nearly half way to achieving our target!! 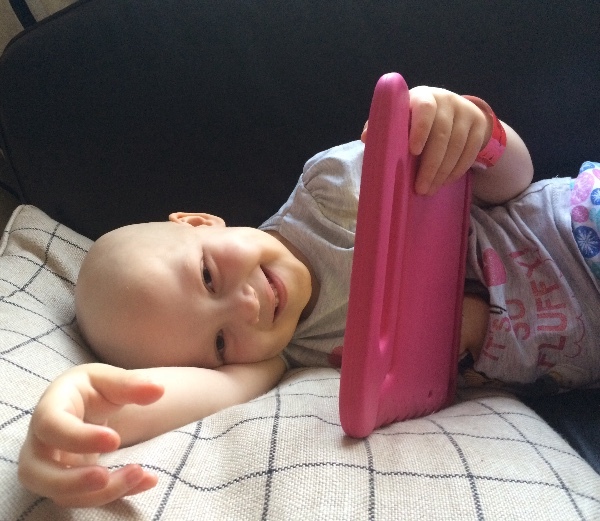 Erin tonight after her bone marrow test, still playing away on her iPad! Thank you everyone for all your fantastic donations so far. Originally this account was set up to help us with the expenses of living in hospital for months and months. However we are now in the position where we need to start raising funds for possible lifesaving treatment abroad for Erin. Anything that anyone can do to help us with this huge task would be greatly appreciated. Erin had a little walk outside her ward. Hey guys, just wanted to say that you will make this figure and Erin will recover. It's not false hope or a belief in the devine - just an absolute confidence in the British public to do what's right and what's good to raise the money you need. Erin's story is inspirational but it is your unending love and commitment for your daughter which is just as heart warming. I work in Communications so if there is ANYTHING you need from me please do not feel afraid to ask or embarrassed to ask. First £100k done, the first step to getting Erin to the right place to give her the treatment she needs . I hope the money continues to grow so you can focus on getting Erin Better. Almost there sweetheart. You are going to be just fine. Lots of people care and will be sending you lots of love. It's the best money I have ever spent. Brilliant to see that the figure has gone up by nearly 30k today! I donated this morning and came back to check on your progress. Nearly there, keep donating people, it shows that no matter how small the donation, it makes a difference! A worthy cause and i wish her and her family all the best, but please go to the go fund me website, there are other causes and another beautiful little girl with life threatening condition. If only there were enough money to help them all. I am so so happy to read that you've reached the 100k. I've thought about Erin all day & this news is what you and your little family deserves. Brilliant news! Fantastic news about the amount raised so far, but that's still only Step 1 I think? If I've read the information correctly, Erin will ultimately need a bone marrow transplant, is that correct? If it is, then please let me know and I'll share the various donation sites on my FaceBook page (unfortunately I'm too old to donate apparently).